Healthians.com is India’s largest health test @ home service, creating a new benchmark for very high quality and honest prices. Healthians employs state of art 46 touchpoints technology for assuring quality collection and testing across its tightly controlled network of labs and hundreds of full-time phlebotomists. Coolsure ™ and Blackcode technology ensure sample transportation in an environment proof way- safe from heat, sunlight, contamination and human error. 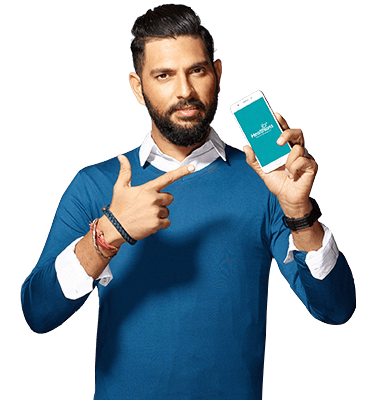 Smartprick ™ technology ensures minimum pain by precision laser guided blood collection.The company was incubated by Healthstart in November 2014, followed by a seed round investment in 2015 by YouWeCan, the investment arm of an iconic survivor, champion and cricket legend Yuvraj Singh who is the face of Healthians. Healthians has been awarded Indian E-retail Awards’15 and Leader’s Awards'15 in Healthcare. Easiest way to Book a Health Test is right here!